Reformed Theology research papers focus on the sacraments of the Lord's Supper and Baptism in the Bible. Theology research papers are custom written by the writers at Paper Masters. We specialize on religious and theological research and you can have help for your religious studies when you have paper masters provide professional research and writing. These were prefigured in the Old Testament by circumcision and Passover. In general, a sacrament in Reformed Theology is a holy ordinance instituted by Christ and recorded in the New Testament by which the covenant of grace is represented and sealed. In effect, baptism and the Lord’s Supper enable Christian believers to give expression to their faith and allegiance to God just as the Jews of the Old Testament regarded the circumcision and Passover as expressions of their covenant with God. Despite the relationship between the Lord’s Supper and Passover, and between baptism and circumcision, there remain significant difference in their form and substance based on the variations between the respective theologies of the Old and New Testaments as interpreted by Reformed Theology. 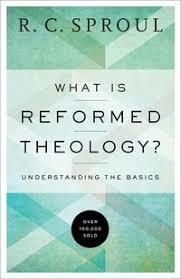 One of the basic tenets of Reformed Theology is the exclusive use of scripture to support theological positions. As a result, the New Testament contains passages that support the general position of Reformed Theology that the Lord’s Supper and baptism are derived from Passover and circumcision. In addition, the New Testament indicates that the Lord's Supper and baptism are imbued with additional meanings and implications that are not present or considered in the Old Testament, which are indicative of the covenant relationship that the faithful form with Christ. In Reformed Theology, the Lord’s Supper and Baptism are sacraments, which are external signs by which God seals the promise of goodwill toward people in order to sustain the weakness of faith inherent in humans, and which operate as testimony of the piety of believers toward God. Theologians - Theologians research papers look into a few well known theologians and discuss their aspects of theology. Paper Masters writes custom research papers on Reformed Theology and focus on the sacraments of the Lord's Supper and Baptism in the Bible.